The manufacturing sector has come a long way in a relatively short time since the end of the recession. The speed with which high-tech production processes have replaced more labor-intensive methods used for decades has freed up factory workers to get more done in less time. 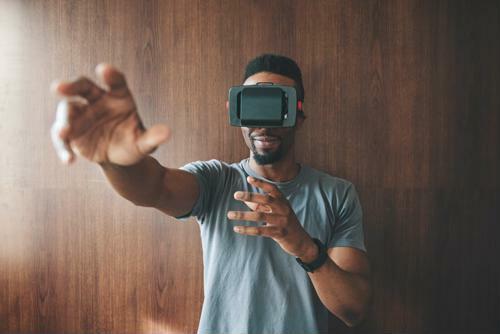 However, the use of cutting-edge technology is also increasingly being applied in manufacturing training, as well, because companies see the value in using augmented and virtual reality to show workers the ropes. One of the biggest reasons VR in particular is gaining a foothold in manufacturing training is that, unlike past efforts, it's a no-stakes environment that ensures trainees - and even seasoned workers learning new techniques - can learn without risk of injury, according to the VR training developer ESI Group. A number of the word's biggest auto and aeronautics manufacturers are already using VR to virtually design their new offerings, and the same principle is used for training efforts with greater frequency. Not only will VR training reduce or eliminate safety risks for workers learning about new techniques or products, but they will also ensure everyone is working with the latest and most accurate information and instructions because they can be standardized across an entire platform, the report said. Along the same lines, AR - which overlays digital information onto real-world images for users wearing "smart glasses" or similar devices - shows employees information about the components they're working with in real time. The ability to pair skilled veterans or even industry newcomers with VR and AR tech is exciting for the manufacturing because it helps ensure everything is done properly, safely and more efficiently than with human efforts alone, according to SWNS. For instance, when a factory worker is assembling a component, AR will help them identify the best and most efficient ways to do so, and more easily spot and correct mistakes they've made. The same is true, further down the production line, if an inspector is able to more quickly spot and report improperly assembled parts, reducing the number of defective products that make it from the factory floor out into the real world, the report said. In addition to the actual production of products, AR and VR can be used to help workers better understand how to more effectively maintain the equipment they use during the production process, so that there is less downtime resulting from equipment failure, according to Industry Week. That, in turn, helps companies maintain their rates of production for longer periods, with fewer concerns about breakdowns. If breakdowns do happen, AR can also help technicians reduce downtime by showing them the most efficient ways to assess what's wrong and repair it quickly. Manufacturers would be wise to consider all their options to make their factory floors safer and more efficient for workers. Those efforts, combined with higher pay and better benefits, may be key to both attracting and retaining workers on an ongoing basis in the future.